Easter day on April 1st is a day of joy and celebration to commemorate the resurrection of Jesus Christ, according to Christian belief. This day is celebrated with a feast composed of traditional dishes such as lamb, salmon and chocolate. 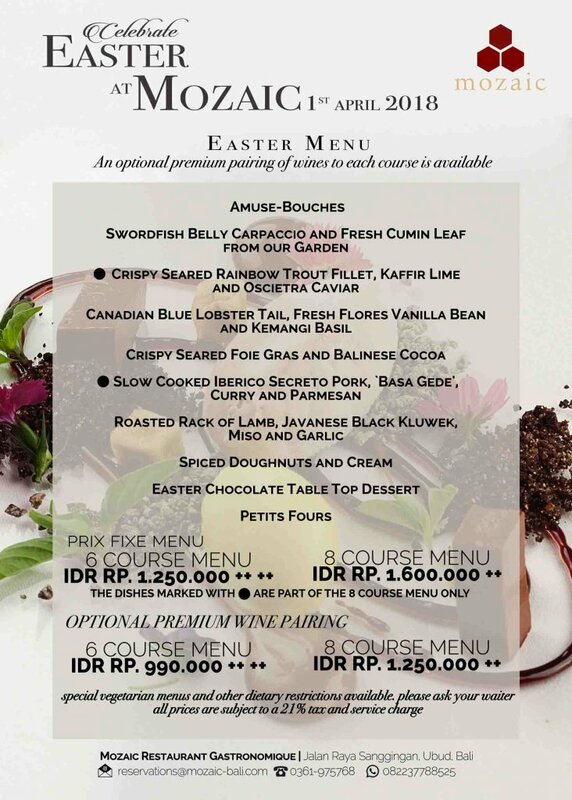 Come celebrate Easter with your friends and family at Mozaic and feast on a very special menu designed by Chef Owner Chris Salans.